Kenton's Infotainment Scan: Starstruck has that "certain something extra"
She got body, she got soul, but the lips don't match the tune. Argh! Starstruck is one of the great forgotten flicks of the 80s. Its name, sometimes written as "Star Struck," should be uttered with quiet reverence in the same breath as Valley Girl, Sixteen Candles, and the Breakfast Club, but - sadly - namedrop the film in North America, and you're likely to get a resounding "Huh?" - even among old guys still using hair gel and wearing skinny ties. I thought of it today when I read Jen's blog post about guilty pleasures. In the world of my guilty pleasures, almost nothing is guiltier than this (except for maybe "Bugsy Malone," another musical starring Scott Baio and Jodie Foster. No joke.). I've probably watched my decrepit VHS of this movie about 100 times over the last 20 years, and the thing that's always brought me back for more is how the sincerity and quirkiness of the family scenes plays against the spirited energy (thank you Manitoba ad campaign!) of the musical numbers - sure, they're amateurish and dated, but the complete conviction and enthusiasm with which they're executed is a giddy (not guilty!) pleasure. The song highlights here are many, but my personal favorites are "Body and Soul," the Split Enz song from the band's best CD, Frenzy, (above) and the irrepressible "I Want to Live in a House," which lays bare the link between punk rebellion and nerdy frustration. Ross O'Donovan and his merry band of misfits "oi, oi, oi" their way through a sarcastic rave up with more nervous energy than an early Elvis Costello video; if you don't have goosebumps by the key change (2:43) and rush toward the camera (2:46), or you don't immediately watch it again, congratulations: you're clinically dead. 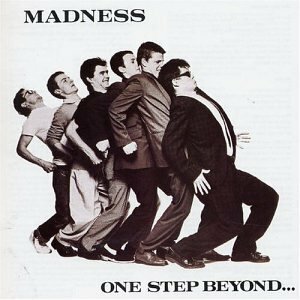 Bonus points for aping the Madness One Step Beyond dance at 3:08! The DVD, which I recently bought (link at the bottom of this post), is a huge improvement on the VHS edition. It's great to finally see the film in all its widescreen glory with much-improved sound and picture quality. I was a bit worried that part of the film's charm lay in the nostalgia of watching it on washed-out videotape, but that's definitely not the case. The greatest sin of the VHS edition, as it turns out, was that it obscured the fantastic production design. The extras are interesting, but where are the interviews with Jo Kennedy and Ross O'Donovan? It's impossible to watch this film without wanting to find out more about both of them. As director Gillian Armstrong notes in the extras, O'Donovan was 17 when he made the film (playing a 14 year old), which would make him 44 today. How does he feel about the film and his performance today? An expanded edition, please. The discussion with screenwriter Stephen MacLean is interesting, in that he doesn't seem to like the film very much; ahh, the classic grouchy screenwriter who wanted to direct his own work! Interestingly, MacLean says he thinks O'Donovan's performance is weak (huh?! ), and wishes he could've chosen the songs himself. He also recalls a time he saw the film in a theatre and found himself sitting next to a six-year-old girl, who attempts to explain what's happening to her two-year-old sister. Good stuff. All the interviewees say the film did better in the U.S. than Australia, which is hard to believe, since the song "Body and Soul" went into the Australian top 10 in 1982. However, I do recall Siskel and Ebert giving Starstruck two thumbs up, so that might've done the trick (hey, it worked for My Dinner with Andre). The deleted scenes aren't so great; they're mostly extended scenes, and by "extended" I'm using the term liberally -- they're about five seconds longer than the originals. I join the (building?) chorus of fans demanding a soundtrack; and, while we're at it, why don't we also demand the DVD release of Modern Girls, the other great forgotten 80s flick, notable for featuring Depeche Mode's should-have-been-a-hit But Not Tonight? "And I haven't felt so alive...in years!" This post is an amended review I first posted on Amazon.com. Thanks for the shout out! I think I'd heard of this movie, but I certainly haven't seen it. It sounds interesting!